Childhood diets are the major cause of adult cancers. Heart disease is easy to prevent. Cancer is different, cancer is more difficult. But we can win the war on cancer. From cancer to diabetes, sometimes the answer to our illnesses are as simple yet complex as needing more fruits and vegetables. Simple yet complex? Yes. I mean to say that the answer is simple, yet the process of actually protecting yourself against disease can be seem complex at first. The average American would be surprised at how many times improper nutrition is behind many of the serious illnesses and diseases so common in our world today. Many of you are probably getting sick of the ‘pill for every ailment’ approach, and are now looking to do more than suppress your symptoms. This article is for you! When our bodies gets sick, they are communicating with us. When we constantly tune them out with modern pharmaceuticals, we never get to the root problem, and due to the additional resulting side effects, the list of medication needed then climbs higher and higher. And as many of you know by now, pharmaceutical prescriptions are a large part of our growing cancer rates. There are many health conscious Americans, however, avoiding trans fats and eating the recommended amounts of fruits and vegetables on a regular basis, and yet these individuals are still getting sick…why is that, you ask? This is where the complex part comes in. Cancer is one of the most frightening, devastating, and tricky illnesses to prevent. As quoted above, heart disease is easy. One must simply avoid trans fats, eat well and exercise on a regular basis. Preventing cancer, on the other hand, requires an individual to obtain CNA, or comprehensive nutritional adequacy. The most dangerous nutrient to be deficient in… is the one you’re deficient in. Using new advanced technologies, we can actually read a persons AGE’s ( advanced glycation end products ) in their tissues and skin. Simply put, this is a good indicator of a persons biological age. When compared with a person eating the Standard American Diet, or even a ‘Food Pyramid’ diet for that matter, a person consuming large amounts of organic leafy greens and organic green cruciferous vegetables shows a much lower biological age. More amazing still, take a woman with high GSTP activity ( a woman with genetic risk or predisposition for breast cancer ) feed her enough cabbage, kale and other raw veggies daily, and that gene putting her at risk for cancer is suppressed and therefore unable to express itself. Now, I do not take synthetic vitamins or supplement my family with them, the reason being that our bodies aren’t able to assimilate them properly. Synthetic vitamins are never beneficial, in some cases, as with calcium and vitamin A, they prove to be very detrimental to our health. It’s important to understand that synthetic vitamins are manufactured very similarly to pharmaceutical drugs, and likewise cause stress to your internal organs as well as oxidative stress to your cells. A little known fact is that cancer rates actually skyrocketed in 1930 when vitamins and minerals were first discovered and manufactured. These rates have continued to climb every single year since with no exception, in part because many synthetic vitamins are carcinogens, but more so because people then fell into the routine of believing that taking their daily multi-vitamin would be a substantial trade out for eating a healthy diet. While it is true that many people are alive today only because of advancements made in the medical field, every time we try to re-invent the wheel of nature we will fail, and in the least face dire consequences where health and wellness are concerned. Nature already provides us with the capabilities to achieve comprehensive nutritional adequacy, we must simply be willing to eat a LOT of raw veggies and moderate amounts of raw fruits. This sounds easy enough, but the problem is that many of us simply don’t enjoy eating that much raw food. And of course we are so busy with our daily lives we just don’t have time to sit down and eat a bowl of raw kale, let alone chewing each piece until it’s completely broken down in order to even get the cancer fighting benefits of that kale. The answer to the vitamin dilemma and to the veggie dilemma is easy, fun, and TASTY! It’s juice! Not store bought juice, but make-it-yourself juice! 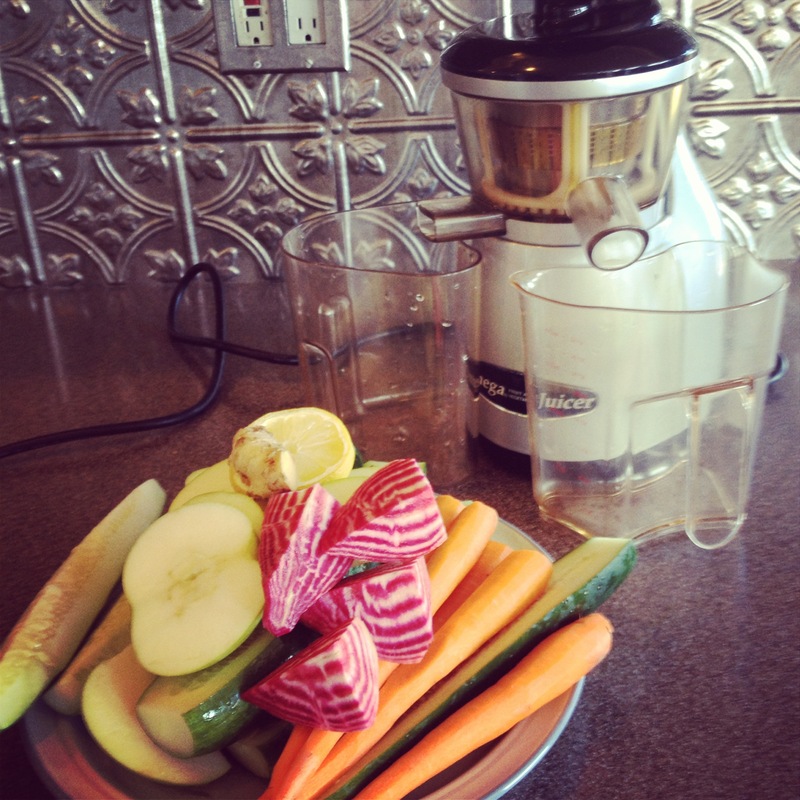 Amazing, energy boosting, mood enhancing, life changing, and even life saving… juice. I’ll be back tonight or tomorrow to conclude with Amazing Juice Part 2, where I’ll dive into benefits and the juicer I personally use daily, as well as great tips and juicing recipes that are family favorites in my house.